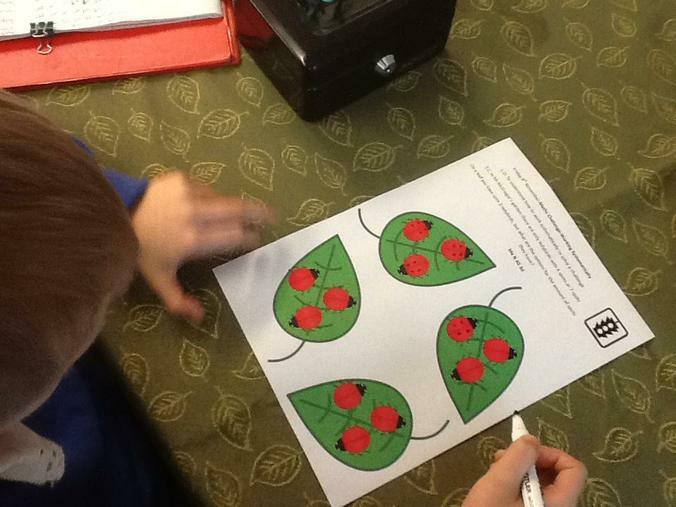 This week for Maths Challenge we have been in Mr McGregor's garden with Peter Rabbit. 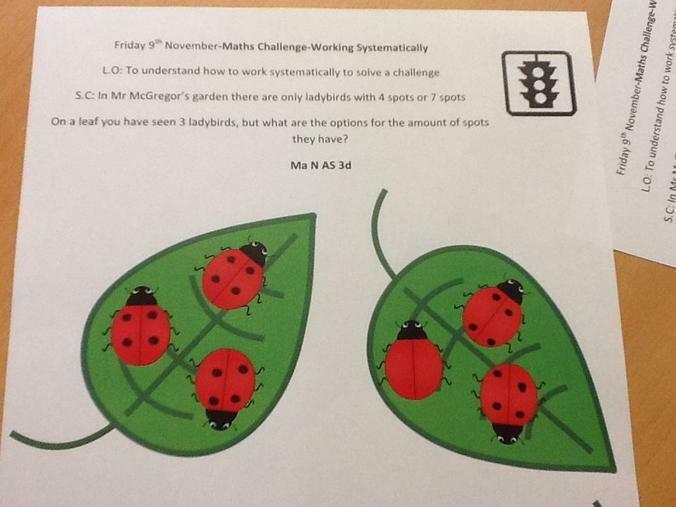 In his garden there are only two types of ladybird: ones with 4 spots and ones with 7 spots. 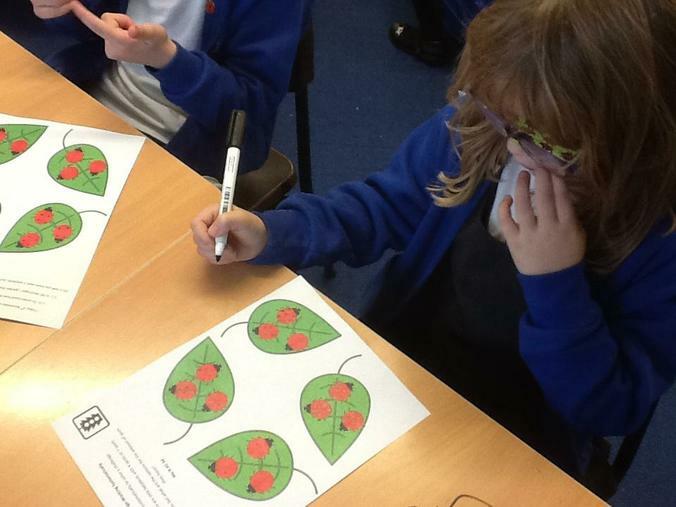 We had to draw the spots on the ladybirds to show the different combinations of ladybirds that there could be on a leaf.